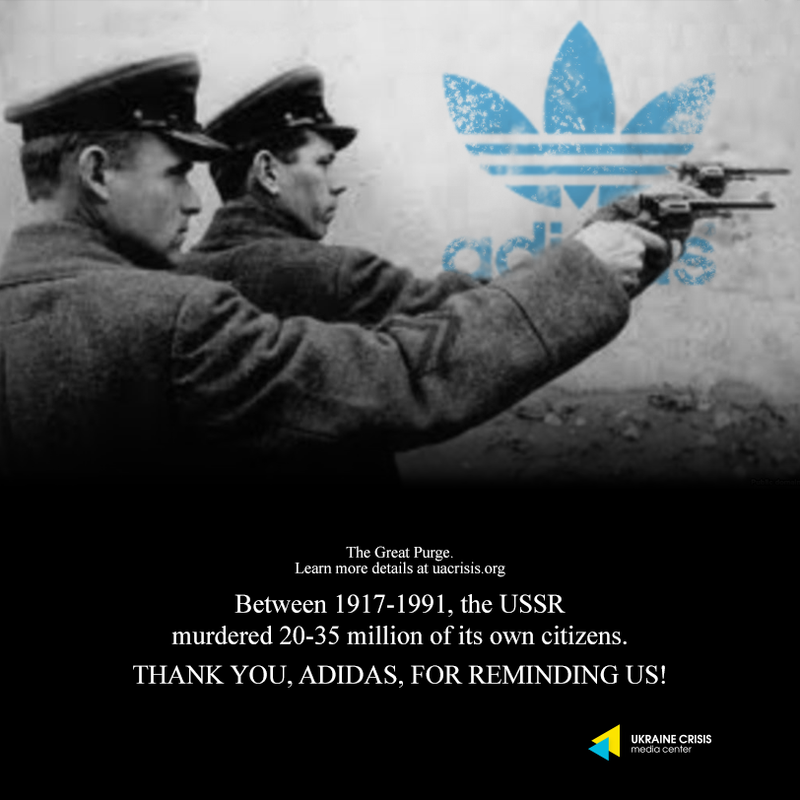 Since the company refuses to recall its ‘USSR’ product line and publicly apologize for launching it in the first place, UCMC publishes its fifteenth protest visual. The Great Purge (aka the “Great Terror”) was a campaign of political repression in the Soviet Union which took place in 1936-1938 and involved a large-scale purge of the Communist Party and government officials, repressions of peasants and the Red Army leadership, widespread police surveillance, imprisonment, and arbitrary executions. According to declassified Soviet archives, between 1937 and 1938, the NKVD detained 1,548,366 persons, of whom 681,692 were shot – an average of 1,000 executions a day.